Acupuncture is a tried and tested system of medicine. The Chinese and other eastern cultures have been using acupuncture to restore, promote and maintain good health for thousands of years. Nowadays more and more people are finding this long established therapy can offer an effective solution to all manner of today’s ills. Acupuncture is now accepted all over the world as a valid system of health care and in the UK there are currently over 2,600 qualified acupuncturists registered with the British Acupuncture Council. Many people come to acupuncture for help with specific symptoms or conditions. Others choose acupuncture as a preventative measure to strengthen their constitution or because they just feel generally unwell. Acupuncture is considered suitable for all ages including babies and children. It can also be used alongside conventional medicine. You will be asked about your current symptoms, what treatment you have received, your medical history, your diet, digestive system, sleeping patterns and emotional state. The acupuncturist is also likely to feel your pulses on both wrists and may ask to look at your tongue. The acupuncture points used are not always close to the part of the body where you experience the problem. For example, although you might suffer from headaches, needles may be inserted in your foot or hand. Frequency and length of treatment depends on your individual condition. Some change is usually felt after five treatments, although occasionally only one or two treatments are required. Some patients may need treatment over several months. Your acupuncturist will normally ask to see you once or twice a week at first. If you have been prescribed medication it makes sense to tell your doctor that you are planning to have acupuncture. You should always tell your acupuncturist about any medication you are taking as this may affect your response to the acupuncture treatment. Acupuncture is generally very safe. Research shows that serious side effects are very rare, less than one per 10,000 treatments. The needles used are single use, sterile and disposable. 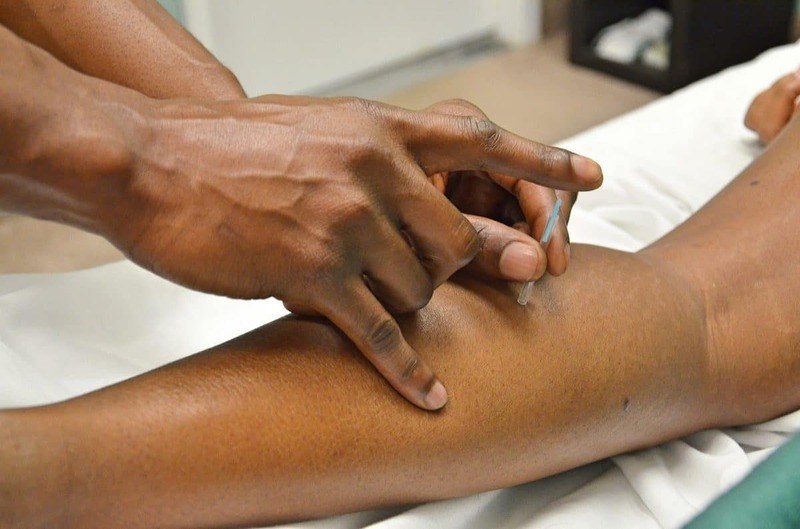 Acupuncture needles are substantially finer that needles used for injections and blood tests. When the needle is inserted, the sensation is often described as a tingling or dull ache. Acupuncture is widely considered to be beneficial for a range of illnesses and symptoms, from clearly defined complaints such as headaches, vomiting, neck ache, and back, rheumatic and dental pain, through to more general feelings of ill health such as nausea or low energy. Many women choose to have acupuncture throughout pregnancy and childbirth. In addition, it is increasingly used by couples dealing with problems of infertility or to support IVF treatment. Acupuncture can also support people trying to overcome addictions such as those related to smoking, alcohol, food or drugs. Acupuncture is beneficial for many issues, including aches and pains, infertility, low energy, to name but a few.